Answer: You are buying a handmade product directly from the manufacturer, so we need a little time to get your order made. We process retail orders once a week on Mondays for orders placed up thru Sunday night at Midnight Central Time. Since we don’t make it until you order it, we can get a little backed up when things get really busy. So, please be patient with us. If you need your product sooner, we encourage you to use our global network of over 100 retailers. 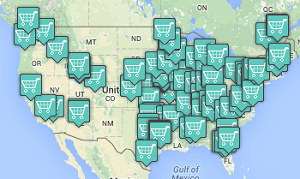 Our interactive map will help you find your nearest retail store or online retailer. All of our rubs are truly handmade in very small batches; we do not back-stock our rubs. 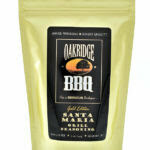 This ensures the freshest, highest quality, and most consistent rubs available. Our commitment to producing handmade, small batch, and truly artisanal rubs is without peer. We ship via the USPS Priority Mail and being centrally located near Kansas City, orders are generally delivered in 1 to 3 days of shipping time. 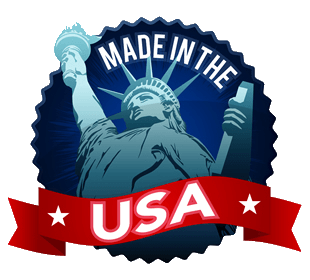 We use the US Postal Service for all of our shipping because we’ve compared rates and the USPS offers a dependable, high quality service with the least expensive shipping rates for our customers. Additionally, all orders placed through our shopping cart will also include electronic delivery confirmation, so you’ll be able to track your package on-line as it makes its way to your door. Question: How much salt is in your rubs? Answer: I’ve battled with high blood pressure for the past 10 years so I must keep my sodium intake in check at all times, and all of our rubs were formulated with that in mind. As a matter of fact, even at 4 times the typical serving size, all of our rubs contain less than 245mg of sodium. So while our rubs do contain sodium, we only use just enough to balance each rub to perfection, so you never have to worry about our rubs becoming too salty when you use just a little or a whole bunch! 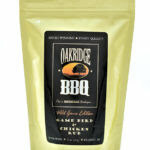 Beef & Pork: 62 mg.
Game Bird & Chicken: 59 mg. Question: Do you use any MSG in your rubs? Answer: Never. Absolutely no MSG. As a matter of fact, there are no fillers, no anti-caking agents, no preservatives, nothing artificial what-so-ever. We only use the finest and freshest, all natural spices and herbs. Question: Are your rubs Gluten Free? Answer: Absolutely, 100% gluten free. 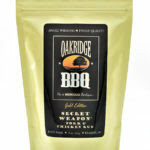 We also produce our rubs in our own facility so we can guarantee there is no gluten cross contamination. On a personal note, an immediate family member of Oakridge BBQ was recently diagnosed with Celiacs disease, so we take this commitment very seriously. Question: What are your shipping charges? Answer: We ship via the USPS Priority Mail and being centrally located near Kansas City, orders are generally delivered in 1 to 3 days of shipping time. We use the US Postal Service for all of our shipping because we’ve compared rates and the USPS offers a dependable, high quality service with the least expensive shipping rates for our customers. Additionally, all orders placed through our shopping cart will also include electronic delivery confirmation, so you’ll be able to track your package on-line as it makes its way to your door. Our current domestic shipping rates are listed here. We also offer our products in bulk amounts at a significant discount. Please contact us for ordering and shipping details. Question: What’s up with the zip-top stand-up bags? Where’s the spice shaker?? Answer: Freshness. Our high-barrier zip-top packaging helps ensure our spice products stay fresh and vibrant for a minimum of 6 months after you open them. This is a marked improvement over standard spice bottles who’s properties do very little to help keep the spices they contain fresh even before you open them. Where’s the proof you ask? Well, aside from the mountains of industry research that supports this, all one has to do is use your nose. Next time you are in your kitchen, stop by the cupboard and pick up one of our competitor’s spice bottles. Raise it up to your nose and gently squeeze the bottle. Bet you smell the spices don’t you? This is a clear indication that the spices contained in those bottles are not being adequately protected from free oxygen exchange. Our high-barrier bags, on the other hand, are made from multiple laminations of foil and special barrier materials that reduce free oxygen and moisture exchange to a mere fraction of even the best spice shaker bottle.Additionally, our commitment to freshness and utmost quality is inseparably married to our commitment to recycling and keeping the environment clean. Therefore, we have purposefully chosen to package our product in fully recyclable zip-top pouches that comprise a much smaller carbon footprint than the alternative plastic spice bottle. Recent Environmental Protection Agency (EPA) studies have shown the most effective way to help our environment is by reducing the amount of plastic used in packaging. Its effects are more pronounced than even recycling and reuse combined! As these bags are made from much less plastic than traditional rigid plastic spice shaker bottles, packaging a product in a flexible stand up zip-top bag vs. a rigid plastic bottle can have a tremendous positive impact on the world we live in. However, if a shaker bottle is what you prefer, we recommend you re-purpose an old spice shaker or Parmesan cheese bottle from your own cupboard. Then, when you’re finished using the rub, just pour it back into the zip-top bag so it stays fresh for the next time you use it. 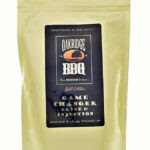 Check out our new tested tough stainless steel rub shaker, its pretty nice. Answer: Like many things in life, the real answer is “it depends”… If you are using it on small cuts of meat like steaks, chops, or chicken breasts, 5 or 6 ounces would last you through several cookouts, maybe even all summer.However, if you are a bbq’er and you’re doing large cuts of meat like beef brisket or pork butts, you might use 3 or 4 ounces on just one hunk of meat. For example, when I cook bbq for catering events or competitions, I typically go through several pounds of rub at a time. It also depends on how much rub you like to apply to a given piece of meat, and this will vary from person to person. So, as you can see, it’s all relative… However, if it’s helpful, our stock size is our 6 oz package, which equals a little over a cup of rub. 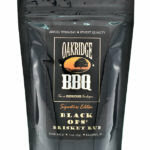 Question: What is the Oakridge BBQ Return Policy? 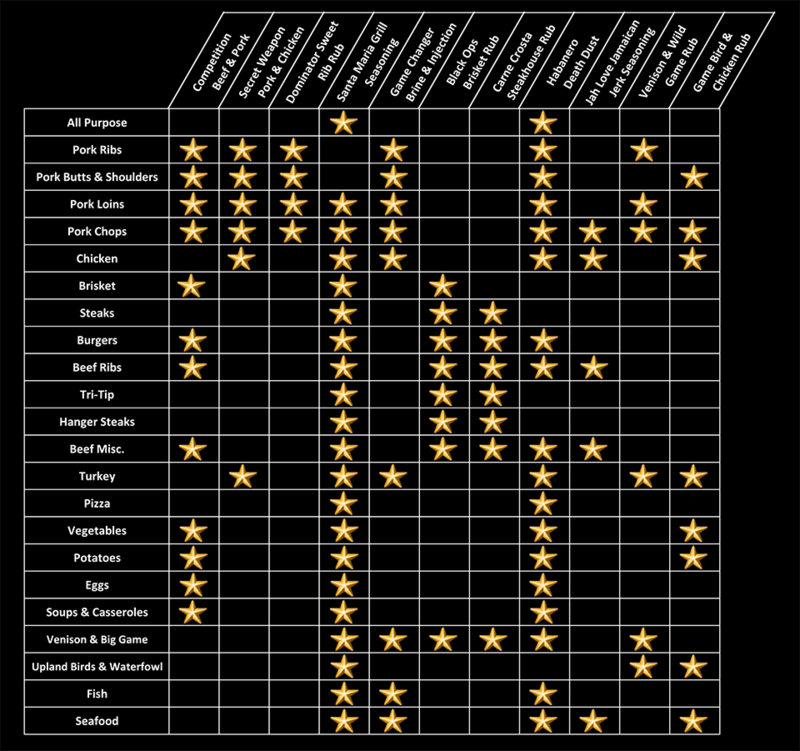 Answer: Though we are confident you will be extremely pleased with the rubs we produce, we have officially added a 100% Customer Satisfaction Guarantee to Oakridge BBQ’s best business practices. If you are unhappy with a product you receive from us directly, please contact us. A RMA will be issued for you to return the unused portion to receive a full refund or a product replacement, your choice. We take great pride in the rubs we produce and believe it shines through to help elevate your culinary and dining experience and back it up with a 100% Satisfaction Guarantee. Question: Why haven’t I received a confirmation email for my order? Answer: Check your spam folder. Some email providers still dump our emails in the spam folder. 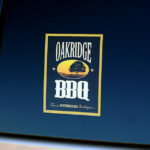 Also, adding sales@oakridgebbq.com to your address book will usually keep our emails out of your spam folder. If your order shows in your account on the site and you didn’t receive a confirmation email, contact us and we’ll be happy to resend it. Question: What do the order statuses mean? Pending = The payment for the order has not been completed successfully, click the ‘Pay’ button next to your order to complete the payment process. Processing = Your order is successful and we are making the rub to fill your order. On Hold = Your order has been received and entered into our system but has not yet begun to be filled. Filling = Your order is being filled. Shipping = Your order is filled and being boxed up so it can be shipped. Completed = Your order is filled and has been shipped, check your email for the tracking info. Question: Are your rubs really hand made? Answer: Absolutely. 100% hand made by us in micro batches. Find out more. Have a question that isn’t listed?